You will earn 20 Reward Points. Earn 1 reward point for every 1 dollar spent. 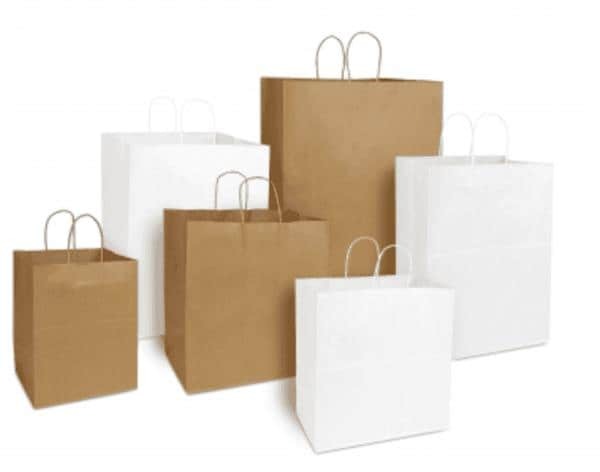 NOVOLEX Duro Bag brand paper handle bags are a great way to provide strength and carrying convenience in a paper substrate. Whether youre carrying a sack full of cantaloupes or a few family-sized bags of potato chips and tortilla strips, these Handle Bags are proven to withstand a sizable load. Consumer prefer Duro Bags Handle Bags for their durability, reusability and efficiency; while grocers rely on these shopping bags for their strength and self-standing style that allows for easier loading and efficiency at the checkout. RJ Schinner 01890 Kimberly Clark Kleenex Multi-Fold Towels White 9.2" x 9.4"